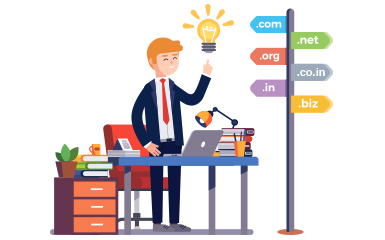 Web Samadhan is domain name registration company in Kolkata provides cheapest domain name registration services at just 299/-. In our service, you will get top level domain like .com,.net,in,.movi and so on. And we also are offering you to purchase domain with great a discount. We have good support team to provide you 24/7 service at any time. We have huge database for domain name enlisted in our database. NB: Offer Price applicable for first year domain registration. ● GST(18%) will be applicable for all domain Registration, Renew, Transfer.